Let your boy enjoy playtime effortlessly with this pair of jog pants. It features elasticised waist with drawstring and cuffs for custom fit. 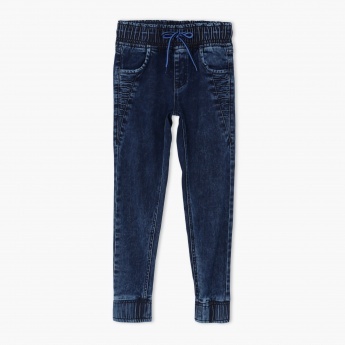 The dark wash denim look is great for casual wearing.